Conroe Property Management, Conroe Property Managers, Conroe, TX Property Management Companies. We offer a full range of property management services that are tailored to you as an investor, homeowner, landlord, or association. We have an extensive portfolio of single family homes, townhomes, and condos in the greater Conroe area. The Benefits of using TEXdot Property Management, Inc.
At TEXdot Property Management, Inc. we provide you with a minimum of three market evaluations to make sure you receive the best evaluation of your property possible. Each tenant is thoroughly screened with a background check and credit check, then the qualifying criteria is delivered to all applicants. 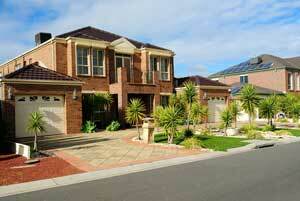 We assure both qualified and quality tenants for your property. We are so certain that our criteria provides quality tenants that we will split the late fees with the owner/landlord. TEXdot Property Management, Inc. will insure that the holds and accounts for all security deposits are dealt with according to state law while keeping the homeowners best interest in mind. Full time contractor - get your property cared for immediately! Having our own full time contractor means your property is attended to immediately! 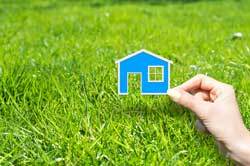 Prepare your property to its fullest potential and bring the property to market immediately. As a general contractor, we cover multiple job details in one visit. We have a preferred list of trusted, licensed, insured, and registered contractors to ensure your property receives quality work at a fair price. Contact us today to be considered as a vendor. Each property is evaluated by the Texas Property Code and a list of recommendations is prepared for the landlord to review. We keep in mind the increase of value while we make our suggestions. They insure that the property will go to market and be leased out as soon as possible and at the best price point. Conroe is a city in Texas, United States. It is the seat of Montgomery County and falls within Houston–The Woodlands metropolitan area. This city is about 40 miles (64 km) north of Houston. As of 2016, the city population was 82,286, up from 56,207 in 2010. According to the Census Bureau, Conroe was the fastest-growing large city in the United States between July 1, 2015, and July 1, 2016. Copyright 2019. TEXdot Property Management, Inc. All Rights Reserved.